Moving home, relationship break-ups or bereaveme nts in the family – these are just some of the many reasons that owners have to make the heartbreaking decision to separate from their cat. While a decision like this is never easy, Cats Protections aims to make it as hassle-free as possible. If you're considering giving up your cat due to behavioural issues, make sure you speak to a vet or animal behaviourist first. Signs of agression, destructiveness or inappropriate toileting can be distressing for owners but with time and patience, there are things that can be done to help. Before giving up your cat due to expensive medical bills, it is well worth doing some research. Some of our branches may be able to help those eligible for financial assistance. 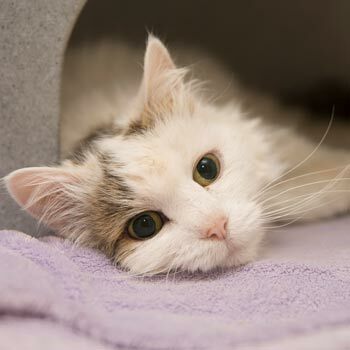 If you find you can no longer care for your cat, follow our steps on what to do next. • Don’t be tempted to advertise your cat online or on social media. Unfortunately this doesn’t always ensure that your pet will go to a good home. • Plan as early as possible. There can often be waiting lists for spaces in our pens, so planning early means knowing your cat is in a safe place. • Contact your local Cats Protection branch or adoption centre. You can find your nearest branch here. • Be patient. If you’re phoning branches during the day, you may need to leave an answerphone message as many of our volunteers may be at work. Your call will soon be returned and you’ll be advised what to do next. • Think carefully. Once the decision has been made and the cat rehomed, no details of the new owners can be released.